Not many people would argue with the idea that quality trumps quantity. Most roofers would agree that adding a second layer to your roof is NOT a good idea and cuts back on the quality of the roof. Yet we still run into homes with 2 or more layers on a fairly frequent basis. Why is this? A) Foregoing the cost of tearing off the old shingles means that you are also foregoing a chance to inspect the underlying materials. While shingles are the part of the roof we think about the most, a roof is not just made of shingles. Decking, underlayment, flashing, etc…all lie below the shingles and are just as important. 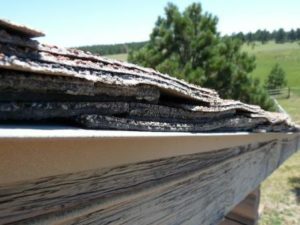 When you fail to remove the shingles and inspect these materials when installing a new roof, you miss the opportunity to catch weak points. These weak points include rotting plywood, tears in the underlayment, or rusted flashing. All of which can cause unexpected, and costly damage. The longer they go unrepaired, the high the chance they will develop into leaks, cave ins or mold. B) By adding a second layer it means that when leaks, soft spots, or other damage do occur, repair professionals have a difficult time finding and assessing what needs to be done. Part of the problem is that if water penetrates the first layer of roofing it may travel some distance before penetrating the second layer of roofing. So a leak in your living room may be originating at a weak point above your bedroom, but with a second layer it can be difficult to determine this. This difficulty in assessing needed repairs often means that either the company doing the repair will be unable to provide a warranty, or that your insurance will be unable to cover it. So if the original repair solves the area of the leak, but not the area of penetration, you may end up paying for multiple repairs out of pocket. C) The third reason NOT to add a second lay is the weight factor. Roofs are only capable of holding so much weight, and adding a second layer of roofing materials pushes it that much closer to its threshold. 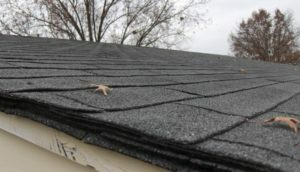 While on an average day two layers of roofing may not be enough to cause your roof to collapse, in the event of heavy ice, snow, or debris, the extra weight of the second layer could very well be enough that you find yourself faced with a caved in roof. Unfortunately, many insurance companies will not cover this since they can put the blame on the extra weight and not on the elements themselves. D) Finally, something to consider is sell ability. A time may come when you want to or need to sell your home. Per the reasons above, and more, a second layer of roofing materials is not a selling point to someone looking to purchase your home. In fact, depending on the building codes in your area, while you may be allowed to add a second layer per code while you own the home, you may not be able to pass inspection with a second layer. In many cases potential buyers either skip over the home altogether to avoid the hassle or demand the seller reduce the cost to cover a new roof. So while it may seem like you are cutting costs by adding a second layer, make sure to take into account the long term costs. Be it unseen rotting plywood, difficulty assessing repair needs in the future, cave ins from too much weight, or trouble selling the home, in most cases a second layer doesn’t really save you anything in the long run!